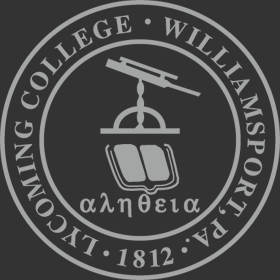 The Williamsport Internship Summer Experience (WISE) is open to current freshmen, sophomores, and juniors of any academic major with a minimum overall GPA of 3.0 who are interested in completing a paid, non-credit summer internship. The 10-week internship program is scheduled for June 3 - August 9, 2019 and involves 35 - 40 hours of work per week at an organization site partner located within the greater Williamsport-Lycoming region. Individual WISE positions are listed in I AM LAUNCHING on an on-going basis. The application process involves a three-step process. Qualified students will be invited to interview with members of the CEAE’s Career Advising Team. Candidates who pass the CEAE Career Advising Team interview will be advanced to an interview with the specific internship site supervisor. Final candidate selections are made by WISE site partners in conjunction with the CEAE. Students should review I AM LAUNCHING frequently as new WISE positions are listed on an on-going basis between November 15, 2018 and February 28, 2019. Candidates for WISE will be selected based on the quality of their application package and an interview with the WISE committee. Final placement will be determined by an interview and approval by the internship partner. Selected WISE students will be required to participate in a 10-week professional development program. The College, student and internship partner will work together to create specific learning objectives for the student. During the duration of the internship, students will meet weekly with a member of the WISE Committee to reflect on their personal experience. The weekly meetings will assist the interns in examining their own values, interests, and leadership style by posing problems, setting boundaries, and facilitating the learning process as it relates to their internship experience. WISE, at its most fundamental basis, will provide students entering their sophomore, junior or senior year at the College with a resume building opportunity, workforce experience in a field of interest, assistance in choosing/confirming a major and time management skills between their work and personal life.